Haru couldnât be more excited to join your Dunny collection and brighten it up with some glow-in-the-dark candied sweetness! Haru is named after the Japanese word for âSpringâ and the Korean word for âDayâ, and they will brighten your collection in ways you never imagined. Haru is filled with mini GID Dunny friends and konpeitÅ candies, a traditional Japanese gift used to thank guests. 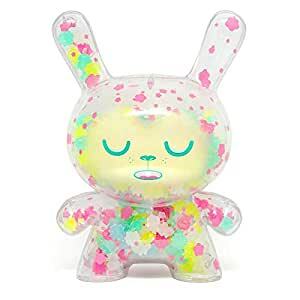 Haru couldnât be more excited to join your Dunny collection and brighten it up with some glow-in-the-dark candied sweetness!